A set of 4 Special Diwali Diya will add more beauty to your home decor and festivities. Carved beautifully out of clay for this festival. Diyas are an essential part of Diwali decoration. Available in vibrant colours and designs. 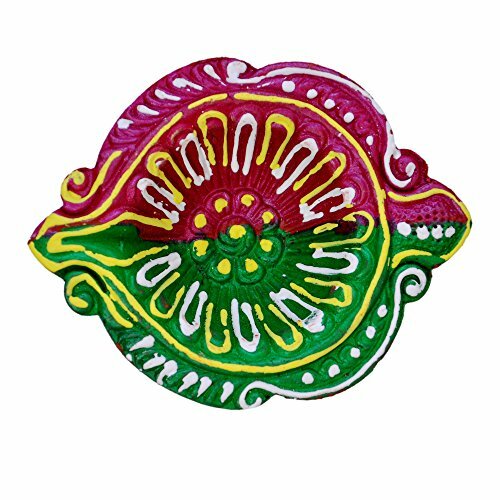 You can place our colorful oil lamps on your doorstep, window/balcony ledge, office, garden or use it to compliment your rangolis. A home lit with these wonderful diyas during Diwali is a tempting invitation to the goddess Lakshmi who brings good fortune and prosperity. If you have any questions about this product by KITCHEN SUPPLIER, contact us by completing and submitting the form below. If you are looking for a specif part number, please include it with your message.